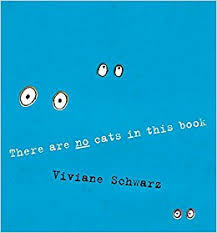 ‘There Are Cats in This Book’ but maybe not on that page, or the one after, either. They want to play. There is wool to play with in the book. The cats want to play in the cardboard boxes too. Then they find pillows. Alongside the cats, the wool and boxes, are the shapes and dialogue. 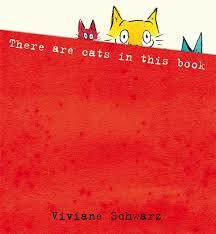 Viviane Schwarz has created something curious and appealing in ‘There Are Cats in This Book’. 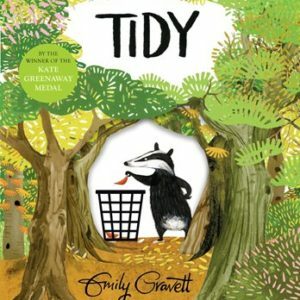 It’s a picture book to delight and wonder about. 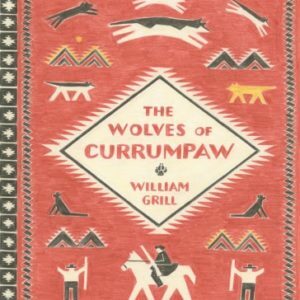 We are so proud to sell this title. ‘There are cats in this book’ but not on this page, nor maybe on the next. They want to play with you. Maybe you could pull the wool. 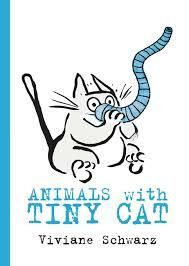 ‘There Are Cats in This Book’ is one of the most appealing and original picture books created. 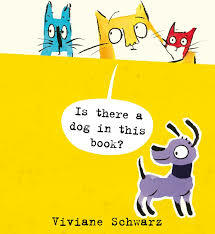 Welcome to the wonderful world of Viviane Schwarz!